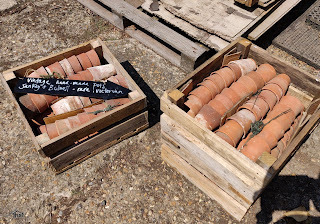 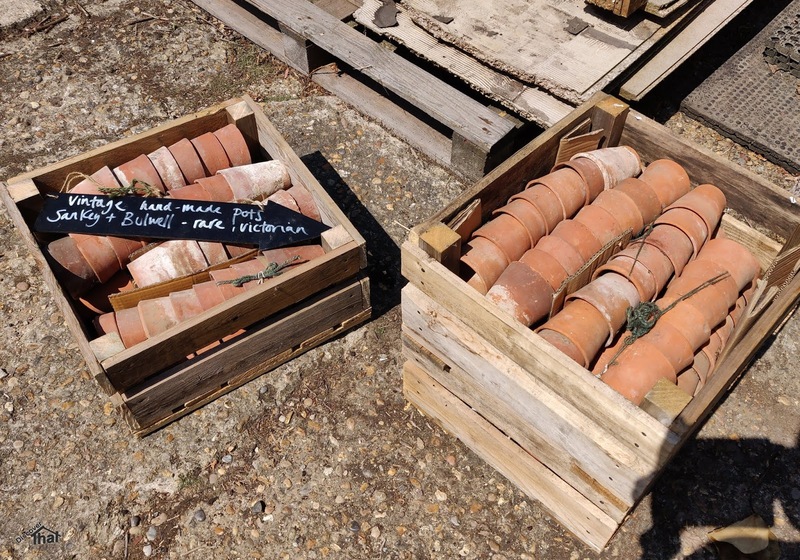 Shelley has a surplus of old hand made pots that she sells from, a friend, Dean's stand when he does various local gardening shows and farmers markets. 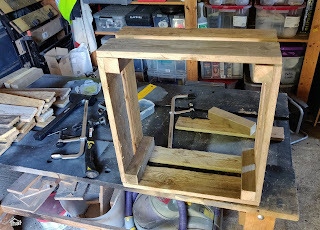 To display them nicely, I have made some old looking wooden crates out of reclaimed timber from pallets. 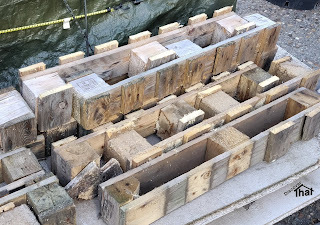 Breaking up pallets is more work than it's worth. 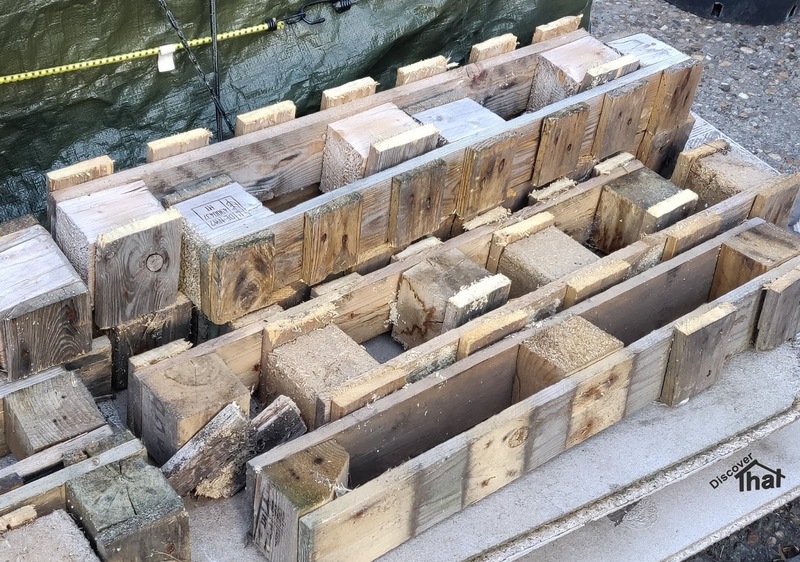 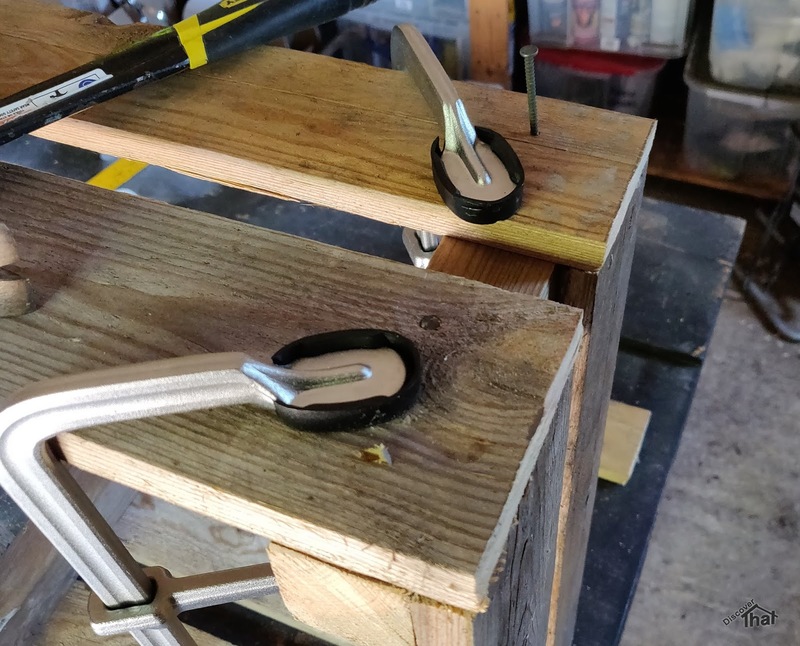 To minimise the effort and to avoid having to remove any nails, the crates are designed to be the size between the joints so that only sawing is necessary. They are held together with 50mm x 3.2mm zinc coated ring nails.